The ‘experience economy’ – an idea that the brand experience is as much of a sellable proposition as the product itself – has compelled marketers to re-evaluate the customer’s experience at every touch point. Of late, the rapid uptake of technology and online shopping has fueled greater emphasis on digital experience. However, the fact remains that consumers have not stopped wanting to experience a product or brand in person. They just need an environment or experience that makes them want to come in-store. Companies that realise this paradigm are making huge investments in what are commonly referred to as ‘experience / display / application / design / innovation centres’. 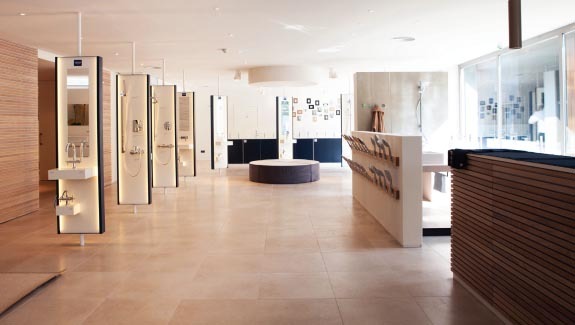 In our various interactions with leading brands, be they in sanitaryware, kitchens, architectural hardware, etc, we have been informed that the Experience Centre is not your conventional point of sale. Rather, it is an innovative and powerful marketing tool where prospective customers and influencers engage comprehensively with the brand and its products through interactions other than the actual sale. A few months ago Somany Ceramics, the tiles and bath fittings major, had set up a 10×10 feet kiosk at the domestic departure point of IGI Airport Terminal-3 for a three-month duration. The aim was to enable the brand to engage with travellers who had time at hand as they waited to board their flights. Two years earlier online furniture and home products store Pepperfry.com had initiated an engaging on-ground activation at Mumbai, New Delhi and Bengaluru airports, to promote its unique brand offer ‘Happy Furniture to You’. The company created Pepperfry Furniture Lounges in the domestic departure lobbies of these airports, so travellers could check out the curated furniture range. The on-ground activation was aimed at creating awareness about the brand and inducing consumers to buy Pepperfry stuff online. “We want customers to experience the quality of our furniture and familiarise them with the brand. These lounges act as Pepperfry display zones, which are solely meant for experiencing the range of furniture from Pepperfry. This activation is an integral part of our larger marketing campaign to multiply our brand reach and build confidence in the minds of our prospective customers,” Kashyap Vadapalli, Pepperfry’s chief marketing officer, said. More recently Pepperfry has launched Studio Pepperfry, a brick and mortar outlet format that houses a curated range of furniture to give customers an experience of the quality and finish they can expect from their online purchase. The studio also serves as a design inspiration, and has interior design consultants who gauge what customers are looking for and guide them accordingly. “The studios are not sales points, but customer interaction points,” clarifies Ashish Shah, co-founder and COO of Pepperfry. The newest Grohe Live! in Mumbai is yet another example of retail innovation that industry leaders are coming up with. “Grohe Live! serves as a central port of call, particularly for architects and designers seeking comprehensive information and inspiration. Moreover, the center’s attractive location will draw numerous consumers who will appreciate the wide variety of designs and options for customised bathroom design,” said David J Haines, CEO of Grohe AG, at the centre’s launch recently. Going forward, the services offered by Grohe Live! will also include training courses and seminars for designers, showroom staff and professional installers. Furniture hardware and solutions major Hettich India unveiled its first Innovation Centre a couple of years ago, in Benagluru. The centre showcases its most premium fittings and their applications in modern furniture to customers and designers, with prior appointment for personalised attention. “People around the world are looking for intelligent living solutions and better interior ideas…. We are looking at it as a pilot project; we are hoping that we can replicate our learning here in other cities around the world,” Dr Andreas Hettich stated. Apart from the Hettich Innovation Centre, the company has display centres in Delhi, Mumbai, Bengaluru, Kolkata, Lucknow, Hyderabad, Chandigarh, Indore and Chennai for architects, designers, contractors, OEMs and carpenters. Hafele has been increasing its count of design centres where one can see, touch and experience products and fittings in a live environment. 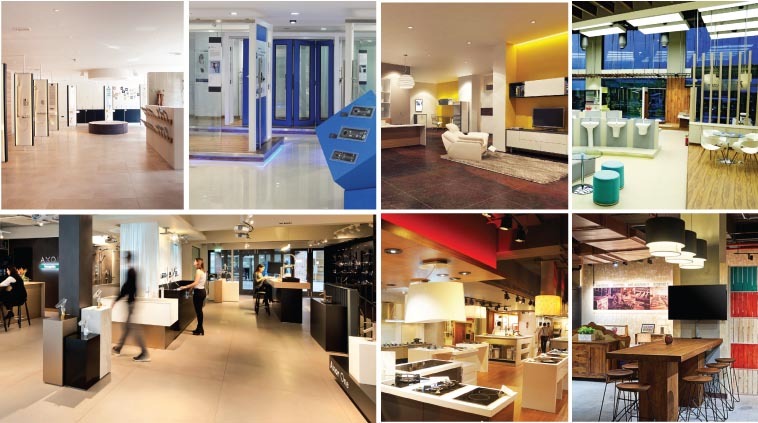 These centres house an array of kitchen solutions and appliances, cabinet and architectural fittings, furniture lighting and bathroom solutions; and are even equipped to enhance the skills of customers and business partners. The rising count of display centres across the country confirms that ‘display, educate, train’ is rapidly becoming a tenet of smart marketers; those who also want their business partners to leverage the force multiplying effect of these innovative retail spaces to the fullest.